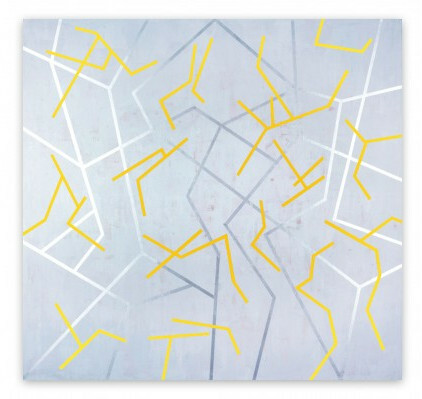 Gudrun Mertes-Frady is a New York-based abstract artist whose work blends geometric structure with intuitive, painterly explorations of color and line. Mertes-Frady was born in Cologne, Germany. She studied painting and art history at the Cologne Academy of Fine and Applied Arts. 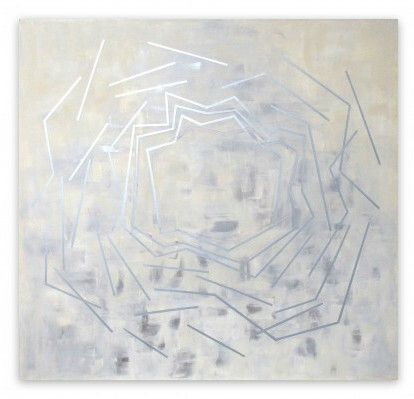 Mertes-Frady shifts her practice between painting and drawing. Her processes for the two are quite different. Her drawings manifest quickly and intuitively as she applies multiple layers of Conte crayon, graphite, charcoal and metallic crayon to hand-made sheets of Japanese paper, such as Kozo (made from mulberry trees) or Gampi (made from the gampi bush). Her work on mylar evolves over a longer period of time. Using a mixture of ink and water-based media, she creates layered, expressionistic, abstract compositions, often using both the front and back of the semi-translucent surface in order to add dimensionality and depth. 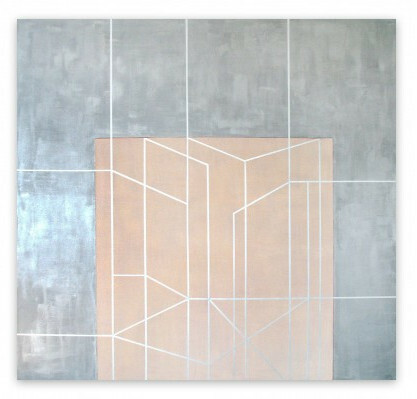 Raised in a family of architects, Mertes-Frady learned early on to appreciate the visual language of the grid. Her background led her to appreciate the structure of paintings by Constructivist artists like Malevich and Bauhaus artists like Mondrian. 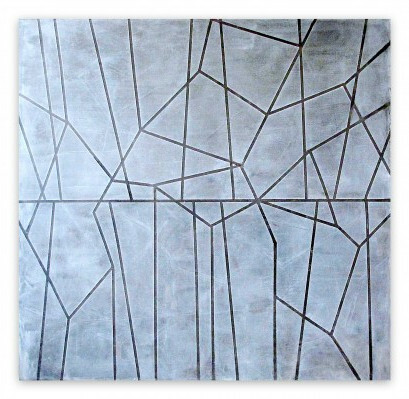 Throughout her career she has experimented with many different mediums and techniques, but has always relied on the geometry of the grid for stability. Even her more lyrical, “all-over” drawings are underpinned by an architectonic arrangement of space. Despite their structured appearance, however, Mertes-Frady never plans her compositions in advance. She is inspired by instinct and intuition. By freeing herself to react in the moment to arbitrary choices about color, texture, and line, unexpected and beautiful contrasts are allowed to develop between the architectonic structure of the work and its painterly spirit. Her work continues to radiate a light…..an illumination that is almost seasonal, from reticence of a pale wintry day to the glow of spring, the glare of summer to more sombre casts, the sensation shifting from a crystalline delicacy to a slow sonorous rumble….There is also what lies beneath, which comes up like pentimenti: history, genealogy, archaeology, traces that are both process and poetics. Mertes-Frady has had more than 20 solo exhibitions in the U.S. and Europe. Her work is in many public, private, and corporate collections, including that of Rockefeller University, Universal Music, The Busch Reisinger Museum, Gwynneth Paltrow, the American Embassy in Dubai, and many others. 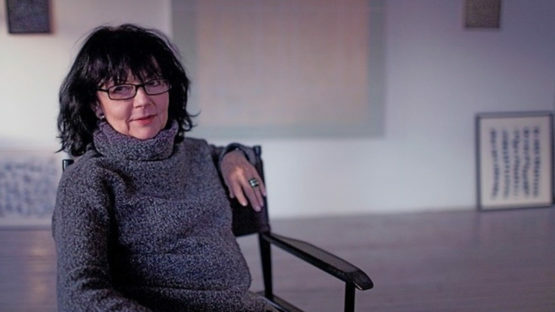 She has lived and worked in New York City since 1981.